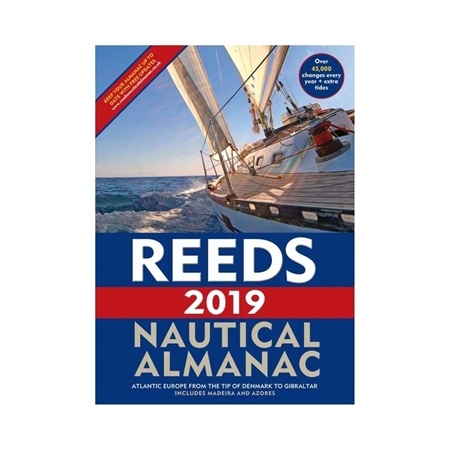 Reeds Nautical Almanac is the indispensable trusted annual compendium of navigational data for yachtsmen and motorboaters. This resource provides all the information required to navigate Atlantic coastal waters around the whole of the UK, Ireland, Channel Islands and the entire European coastline from the tip of Denmark right down to Gibraltar, Northern Morocco, the Azores and Madeira! The 2019 edition continues the Almanac's tradition of year on year improvement and meticulous presentation of all the data required for safe navigation. Now with an improved layout for easier reference and with over 45,000 annual changes, it is regarded as "The Bible of Almanacs" for anyone going to sea. Tide tables and tidal streams. Radio, weather and safety information.